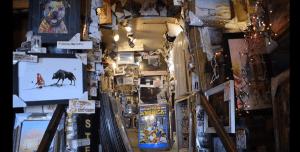 Ocean Gallery is one of Ocean City’s original oddities, and it’s not just odd because it’s an art gallery — It’s odd because it’s Ocean Gallery. It needs no introduction, but here is a brief one anyway. 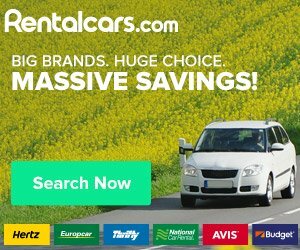 For the uninitiated, Ocean Gallery has many claims to fame, among them being 1.) It is the only recycled building in Ocean City. 2.) It is the only building with its own Batmobile, at least within a hundred-mile radius (and certainly the only Batmobile that’s decorated with a keyboard, a hairdryer and other household items), and 3.) It is the only building who’s tuxedo-clad owner built a Titanic car for $28 and promptly sank it to the bottom of the Atlantic Ocean. Part of Ocean Gallery’s oddness stems from these claims to fame, but it’s also odd because it’s an art gallery that’s survived on a beachside Boardwalk for over 50 years. It’s odd because it’s one thing in town that almost everyone can agree on, a major accomplishment in itself. 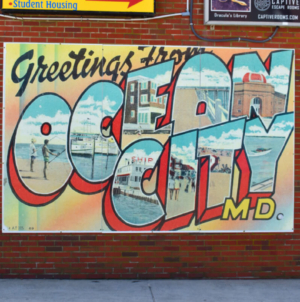 Aside from the errant out-of-towner clamoring “eyesore!,” Ocean Gallery is very much a beloved staple of the Ocean City Boardwalk, and has been for decades. Kids who came to Ocean City with their families and had their picture taken in front of the Batmobile now bring their own families and recreate the picture 20 years later. And when the roar of its engine is heard from the other end of the Boardwalk, those in the know don’t wince at the Batmobile’s noise (at least, not all of the time) — they think about the crazy car and smile. It’s an odd place, sure, but to write off Ocean Gallery as another strange staple of the Boardwalk, a crazy-but-lovable Uncle of the Boardwalk family, underscores the resiliency of the place, its employees and especially its owner, Joe KroArt. As KroArt said, the survival rate for new businesses isn’t high. In the art world, it’s microscopic. Ocean Gallery has weathered many storms, literally and figuratively, for half a century, and in 2018, it’s still standing loud, covered in neon paint and knick knacks, and proud. KroArt got his start in Ocean City as a busker of sorts. 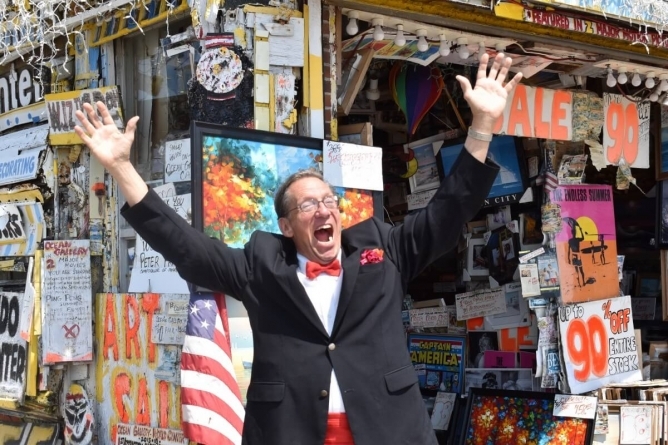 He came down when he was in college and sold his paintings on the Boardwalk, setting up shop in unrented stores and porches and paying the landlords around 20% of his sales. Ever the starving artist, KroArt survived by eating the flies in his basement, at least according to the gallery’s website (which admittedly might be a bit outdated since the “history” page claims the Clinton administration is considering a visit to the gallery. Anyway, they missed out if they didn’t take advantage of the opportunity). He started off on Caroline St., then eventually set up a real shop in what was once known as the Colonial Hotel. Then tragedy struck. The Colonial Hotel burned down and nearly everything inside it was destroyed. KroArt and his team laid out paintings and their frames on the Boardwalk, cleaned them up and were able to salvage some of the inventory. That inventory was eventually taken to a new gallery, the current neon-painted collage of a building on 2nd Street that would take 17 years to build. And the building is no stranger to tragedy itself. Still, the gallery remains standing on 2nd Street. It’s the art on the outside of the building, not just inside, that makes Ocean Gallery so iconic. KroArt salvaged much of the exterior from buildings that were being torn down in his Baltimore hometown, and from places all over the world. Over the span of 17 years, he himself created much of the art that’s displayed on the building’s exterior. 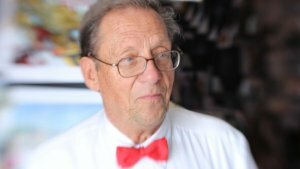 Joe KroArt can often be found wearing his signature tuxedo and red bowtie. That very concept — gauging the reaction of the crowd and giving them more of what they want — spawned comparisons of KroArt to famed American showman P.T. Barnum, founder of the Barnum & Bailey Circus. And their tendency toward crowd-pleasing isn’t the only thing they have in common. KroArt did his research, and discovered that he and Barnum shared the same height (6’2), the same amount of children (three) and the same acreage of their farms (18). It’s a series of strange coincidences that one might even consider fate. He cites the gallery itself as one of these things. 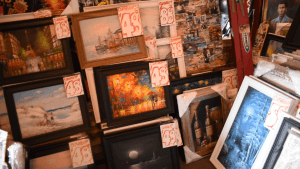 It might be pure luck that Ocean Gallery’s physical presence has remained in Ocean City for so long in spite of the fires and the floods — but it also might be fate. 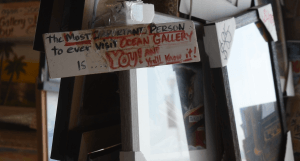 The most important person to ever visit Ocean Gallery is you! The inside of Ocean Gallery is, of course, filled to the brim with even more art than what’s on the outside. And while it boasts what is more art-per-square-inch than most, if not all, art galleries in the universe, KroArt is hesitant to use the word “gallery” to begin with. A sign by the front cash register reads, “The most important person to ever visit Ocean Gallery is you!” That’s a lot to take in when you look around at pictures on the walls featuring celebrities who have visited the gallery, from Susan Sarandon to the guys from American Chopper. But Ocean Gallery is for the people, and even with the crowds it’s attracted, from movie stars to governors, it’s not an intimidating place to be. KroArt’s favorite part of the job is the people. If he’d opened a restaurant instead of a gallery, he said, he would have been retired by now. His passion is driven by the experiences visitors have in the gallery, and making connections with people through the intimacy that is art. Answered by none other than Joe KroArt, of course. How has Ocean Gallery been able to survive for so long? Guts! Where does all this art come from? All over the world. I started selling my own paintings and pretty soon I realized that to be able to survive, it’s going to need other artists… I went to Europe and made different contacts, but this is very complex and to my knowledge, there’s no other gallery in the world like this. People come in all the time and say they’ve been to galleries all over the world, but they’ve never seen anything like this. An art gallery at the beach [spoken in an incredulous tone, of course]? Why? People need free time to make decisions, and fine art is really something that you want to talk about and be real relaxed and discuss and make a joint decision, and you need the time. 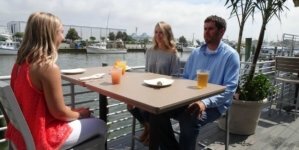 In Ocean City, people have the time because they’re on vacation. They’re more relaxed. I think it’s the perfect spot. It’s still up in the air, but there is talk of cutting up the building, sending it to Hollywood, and then maybe even sending it back to Ocean City afterward. For reality television, of course. 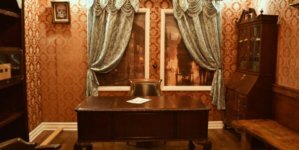 It’s an ordeal that would cost about $6 million, and there’s certainly an audience for it, but no contracts have yet been signed. For KroArt, it’s just another adventure. He likened it to the car that he and his team built from recycled materials and sent underwater to join Ocean City’s artificial reef. Different projects, but a similar concept: it’s weird, it’s never been done before and it’ll certainly draw a crowd. That’s what Ocean Gallery is all about. 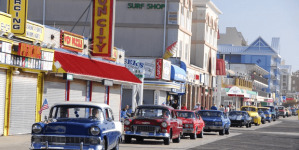 This was an enlighten article, been coming to Ocean City for over 40 years, I’ve looked at the gallery, a little in the front, but after this article, I’m definitely going in for a closer look, and an awesome painting!!! This place is an icon of Ocean City. I hope that it never leaves since it would be like Paris without the Louvre.